Juanjo Carmona de Ville will play for the Chicago Fire U23 team in the Summer of 2015 before returning to the Roughriders team at Yavapai College in August 2015. Juanjo will be dual rostered with the U19 and U23 Chicago Fire teams. The Fire’s summer program for the 2015 season is an important step in developing potential home grown talents for the MLS’s Chicago Fire. The programs will be under the technical direction of Brian Bliss, the Fire’s Technical Director and Larry Sunderland, the Fire Academy Director. Training will begin Monday, May 11th at Toyota Park. The Chicago Fire U23 team is in the Central Conference of the USL PDL league and Game 1 will be on May 22 at the Toyota Park Stadium against Canadian side WSA Winnipeg. 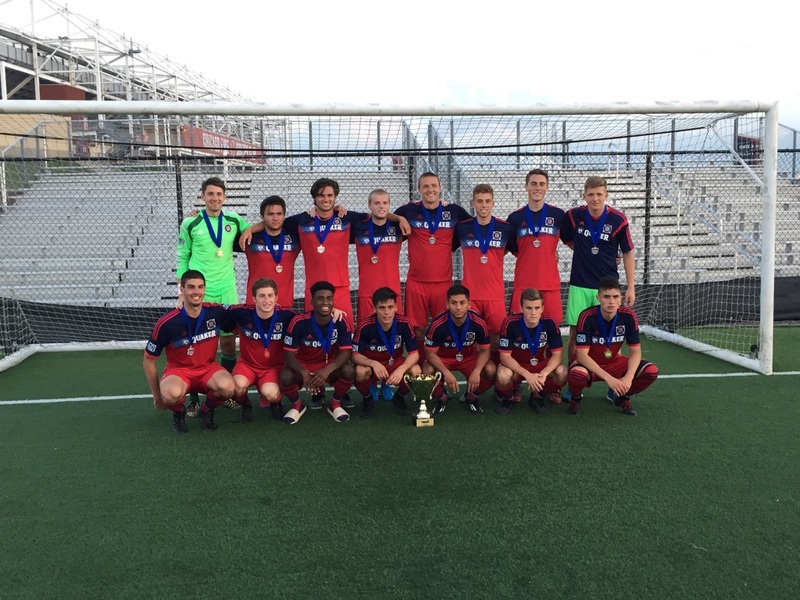 The Chicago Fire U19 team participated in the U19 McGuire Cup – Region II finals, June 20th-24th, in Fox Cities, Wisconsin representing Illinois as the State Cup winner. They ended number 3 in the Region II, only loosing on PKs in the semifinals against the Michigan State Champions. Juanjo Carmona de Ville signed for the Seven-Time National Champions, Yavapai College Soccer, as a Freshman, starting in Fall 2014. – About Yavapai College Soccer program, the most successful junior college soccer program in the United States. – Read about Juanjo’s current coach, Mike Pantalione and get a reference from him. Juanjo Carmona de Ville, #14, upper row, 3rd from the right. Juanjo Carmona de Ville, #14, upper row, 4th from the right. Unfortunately, due to expected delays on international/clearance transfer from the Italian Federation and because the Allievi Nazionale Italian League was scheduled to end on April 21, the transfer operation was cancelled. Carmona went to Denmark then where he ended up signing for HB Køge on Feb 18, 2013. 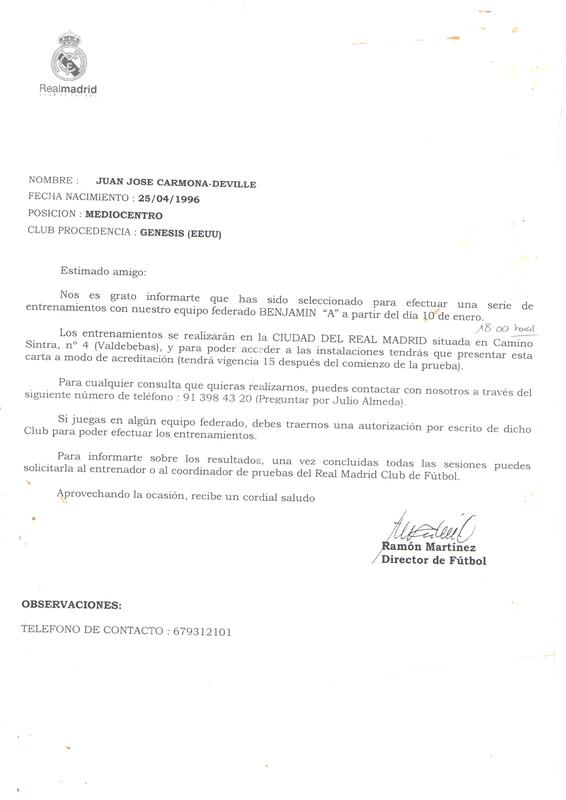 Christian kept in communication with us and was hoping to invite Juanjo to sign for his U18 AC Pisa team in Jan 2014 pending releases of players in the winter transfer window. Christian is an incredible talented coach with ample experience as a pro soccer player in Italy (ACF Fiorentina, Bologna, AC Pisa) and whom Carmona would have loved to play for and hopes to do so in the future. Head Coach Christian Amoroso with his AC Pisa 1909 U17 team during a 2012/13 season game. Stefano Carobbi (AC Milan & ACF Fiorentina former player; ACF Fiorentina Youth Coach) during Juanjo’s sessions at Fiesole-Caldine, ACF Fiorentina facilities with ACF Fiorentina U16/U17 “A” teams. Stefano Carobbi (Ex-jugador del AC Milan y del ACF Fiorentina; Entrenador de las categorías inferiores del ACF Fiorentina), durante las sesiones de entrenamiento de Juanjo con los primeros equipos sub 16 y sub 17 en las instalaciones de Fiesole-Caldine de la Fiorentina, en Florencia. 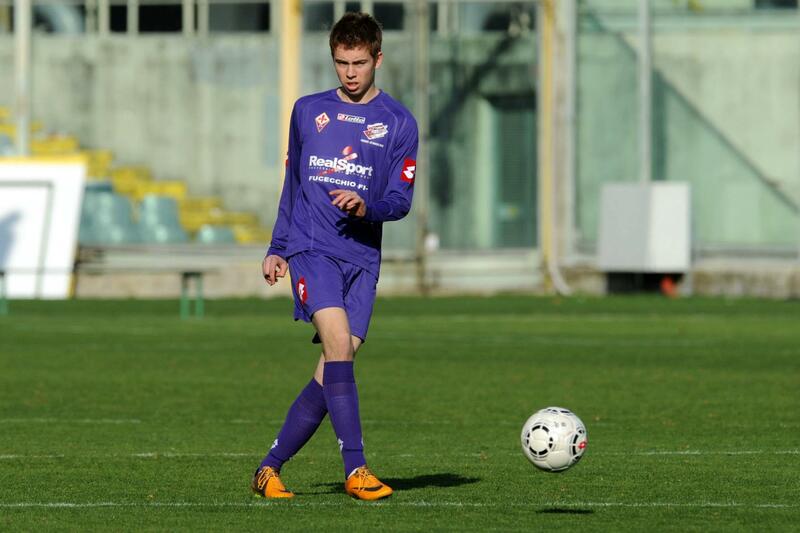 Juanjo at ACF Fiorentina’s Youth Academy Residence (Promesse Viola Residence) in Florence, Italy (March 2012). Carmona-deVille #14, Top Row, third from the right. Oct 24th, 2015 – The Roughrider soccer team completed a phenomenal week of soccer in capturing their 25th ACCAC title with a 2-0 victory over Phoenix College in Phoenix. The week began last Saturday with a 6-2 victory over Pima Community College and then 3 consecutive road games in 3 consecutive days over Chandler-Gilbert Community College, Glendale Community College and Phoenix College. 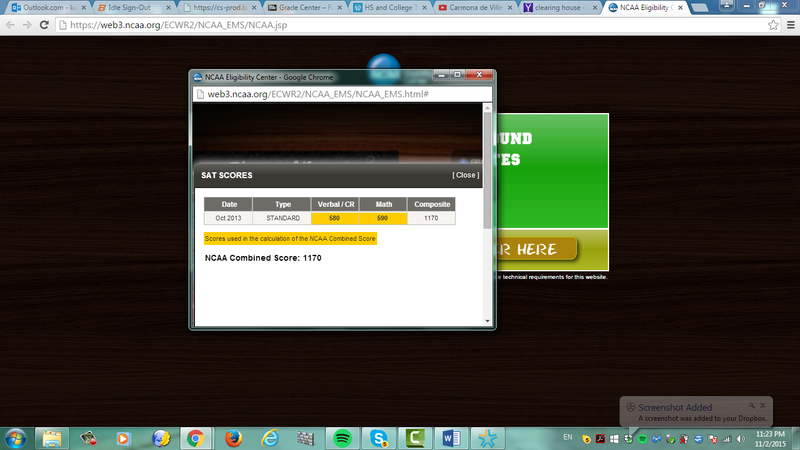 The victory secures the #1 seed for the Green and Gold resulting in a first round bye in the NJCAA Region I Playoffs. YC will play the winner of Monday night’s Phoenix College/Chandler-Gilbert Community College. The second round match will be played on Wednesday at 6:00 PM at a site yet to be determined. Oct 29th, 2015 – The Roughrider soccer team lost to Phoenix College 2-0 Wednseday night in the Region I playoff in Prescott Valley. Phoenix scored goals in the 68th and 88th minute. Yavapai outshot the Bears 25-10, had numerous opportunities in the goal area, but could not find the back of the net. This marked the first time Yavapai was held scoreless in 2015. Yavapai concludes the 2015 season with a 19-3-1 overall record. In the process, the Roughriders captured their 25th conference title. It took 27 years for Yavapai to lose just 50 matches. In the storied history of the program, Yavapai owns an overall record of 574-50-27 overall record. Playing their final match in a Roughrider uniform were the following sophomores: Goalkeeper Greg Patenaude; Defenders Niall Logue, Hugo Gutierrez, Jose Labaniano, Darion Green, Ascari Robles; Attackers Memo Diaz, Ather Dawood, Juanjo Carmona-deVille, Miles McRae, Reece Weldon and Kevin Otokore. Posted by realsoccerclub on October 29, 2015 in Experience in USA (College), Photos, Yavapai College (USA). After leading the nation in both scoring (103 goals) and goals against average (0.38) in addition to having an undefeated regular season for the 10th time in Yavapai history, the Roughriders abruptly lost a region playoff match in overtime…the defeat denied the Roughriders an opportunity to play in the NJCAA National Tournament which was hosted for the first time by Yavapai College, the City of Prescott and the Town of Prescott Valley…Yavapai captured their 24th conference title, broke numerous conference records (goals, shutouts) en route to their 20th twenty-win season and a national third place ranking in the final NJCAA and NSCAA poll. Source: Yavapai College 2015 Soccer Media Guide (Page 11). Oct 25th, 2014 – The Yavapai College soccer team concluded the regular season with a record breaking 7-1 victory in Prescott Valley over Chandler-Gilbert Community College Saturday night. YC finishes the regular season with a 20-0-2 record and 18-0-2 in conference play. Juanjo Carmona de Ville, who played as a central midfielder for the Roughriders, ends the season with 3 goals (two of them were game-winning goals, making him third best in his team in this category). Juanjo also had 5 assists and achieved a 45% SOG% (45% of all his shots were framed to goal). The victory gives the Roughriders their 20th 20 win season in their 26-year history and is the most in the NJCAA. For perspective, Georgia Perimeter College is second in the country with five 20-win seasons. The seven goals scored Saturday night gave the Roughriders 95 league goals for the season breaking yet another record for most conference goals scored in a season held by the 2001 Alan Gordon led team with 93. Another conference record was set tonight for goal differential, +89. The 2001 team previously held the record at +85. Read More about this tremendous achievement. Yavapai College after winning its 24th conference title. ACCAC Conference Champions Oct 25th, 2014. Juanjo: Upper row, fifth from left (#14). Posted by realsoccerclub on October 25, 2014 in Experience in USA (College), Yavapai College (USA). If you want to contact Logan about a more extensive reference for Carmona de Ville, please let us know and we will have him contacting you. Logan Emory, right, with the Toronto FC in a 2013 MLS game. Posted by realsoccerclub on November 7, 2013 in Experience in USA (High School), MLS, Quotes. For 6 months Juanjo lived at the HB Køge Academy (Køge is a city to the south of Copenhagen), and trained with the HB Køge U17 team. In HB Køge we experienced Juanjo as a very clever player with good technique and good vision and understanding of the game. He has a calm way of playing with the ball, and he likes being in the center of the field directing play. Juanjo was very disciplined with his development both on and off the field and he was always well prepared. Personally, Juanjo is a very nice and calm person with good social skills. We thank Juanjo for his time in HB Køge and wishes Juanjo all the best in the future! HB Koge U17 in Rotterdam, Holland for an international tournament in March 2013. Juanjo Carmona de Ville Top Row, sixth from the right. Carit Falch, Top Row, first from the right. Team also visited former Danish national player and HB Køge, Feyenoord, AC Milan, Stuttgart and Villarreal player, Jon Dahl Tomasson (with blue warmup top in the picture) who at the time was the coach of Excellsior Rotterdam. Posted by realsoccerclub on August 16, 2013 in Experience in Denmark, HB Køge (Denmark), Quotes. (2) A referral to Top Danish U17 National Division, HB Køge. Posted by realsoccerclub on February 5, 2013 in Boldkluggen 1893 (B93) (Denmark), Experience in Denmark, News, Quotes. “I have been exposed to both Professional level players, as well as International level players. I would comfortably say that Juanjo’s game awareness is more than a match for any level. So many players in today’s game can perform magic tricks with the ball, but they can’t see the game. Posted by realsoccerclub on January 10, 2013 in Experience in USA (Club), Quotes. Posted by realsoccerclub on January 10, 2013 in Experience in USA (Club), Experience in USA (High School), Real Boise CF (USA). Posted by realsoccerclub on December 16, 2012 in Experience in USA (Club), Real Boise CF (USA).